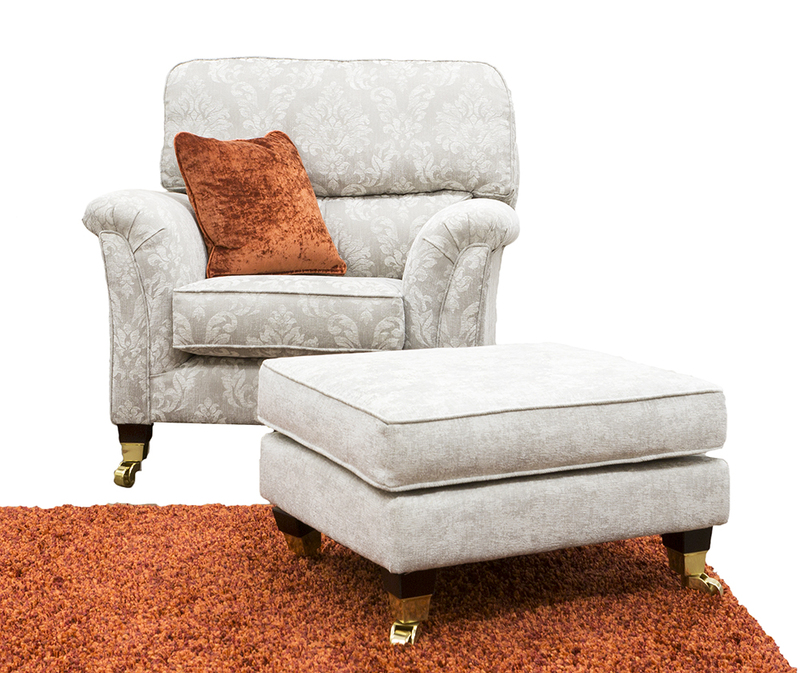 you will notice is the high back cushion, perfect for head support. The back cushion has a split, so the lower part of the back cushion gently cradles the lower back & provides lower lumbar support. 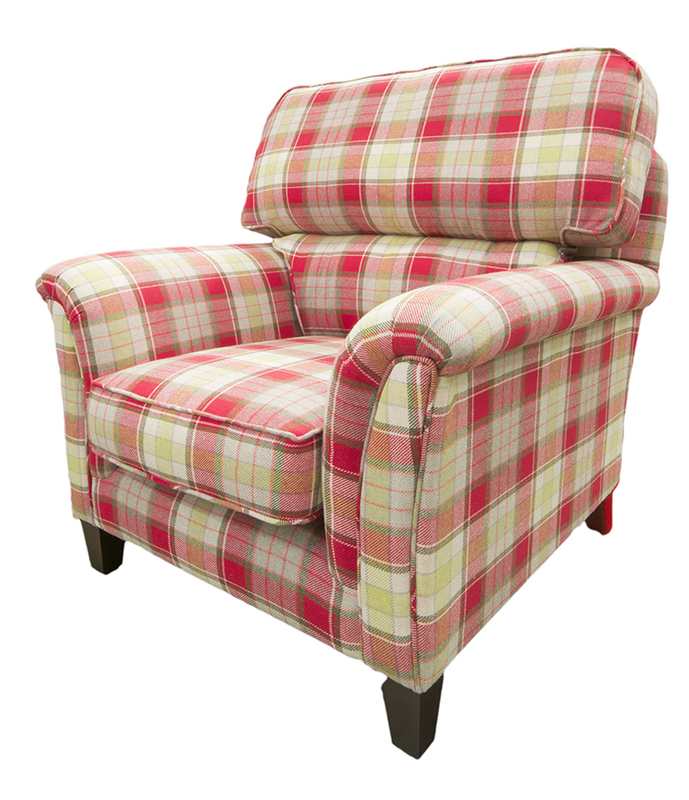 The Cumbria is compact, just 97cm deep for the sofa’s & 94cm deep for the arm- chair. The arms of the Cumbria are slim & elegant, as are the legs; whether you choose the stylish Kensington legs with castors, or the Ainsley or Dylan legs, in either a dark or light wood finish. 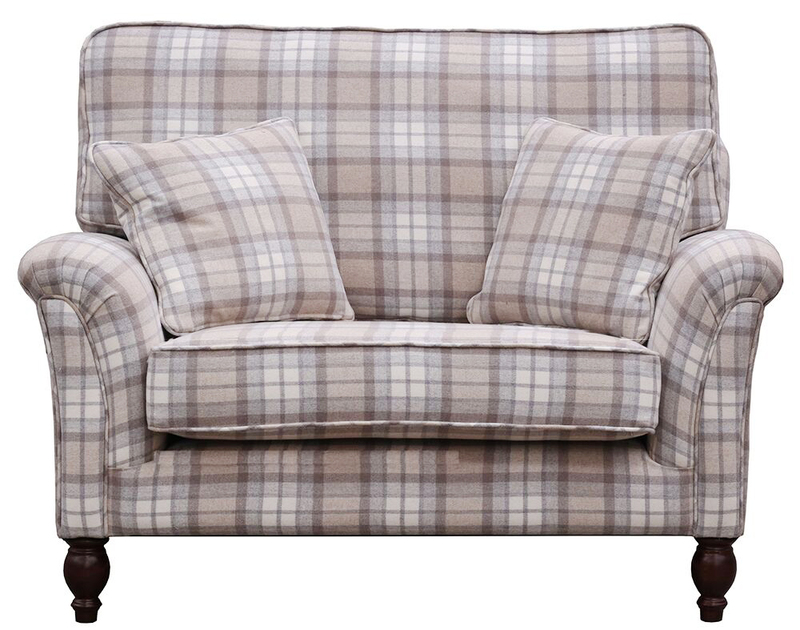 If your check-list for a sofa contains these criterion, then Cumbria may be the model for you. 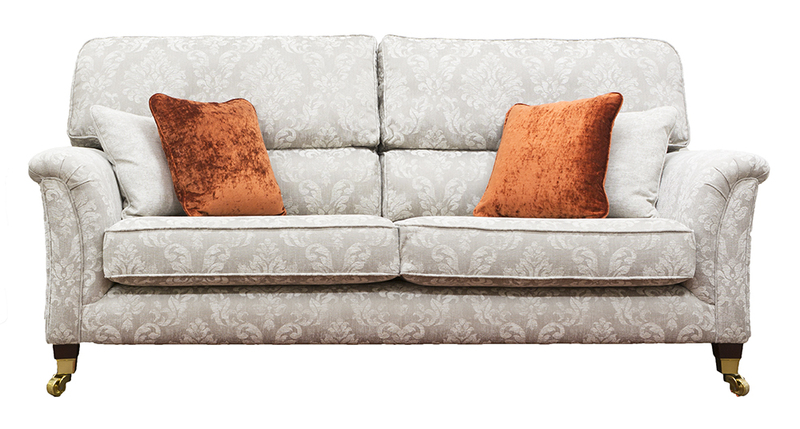 Many find this a design that provides for a more contemporary sofa with the comfort qualities of some of our more traditional designs. 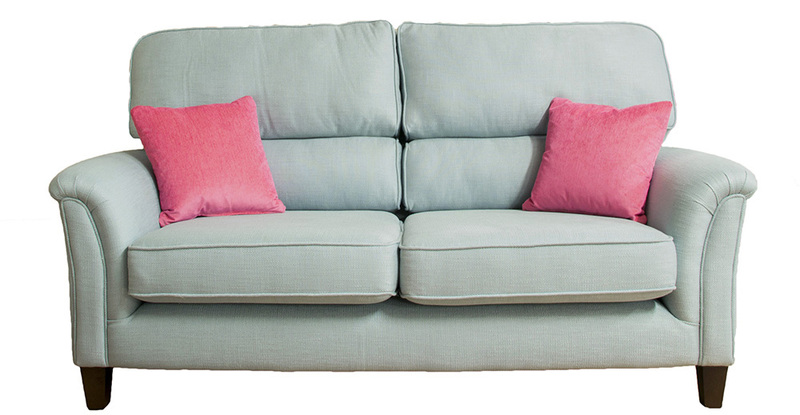 The Cumbria comes as a Large Sofa, Small Sofa, Love Seat & an Armchair & with a matching footstool or perhaps an Ottolong to finish the look. 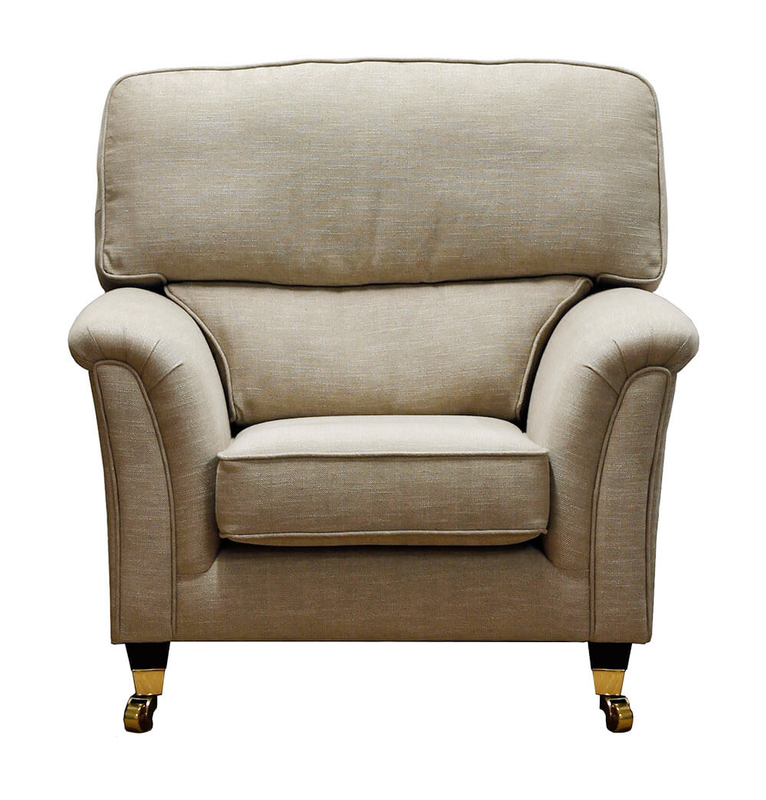 Cumbria Sofa Side - Modena 13921 Sand.